Ever since 2007, RENOSEM has been provided its state-of-the-art product, “Low temperature plasma sterilizer” as a local market leader utilizing specialized sterilization process technology. 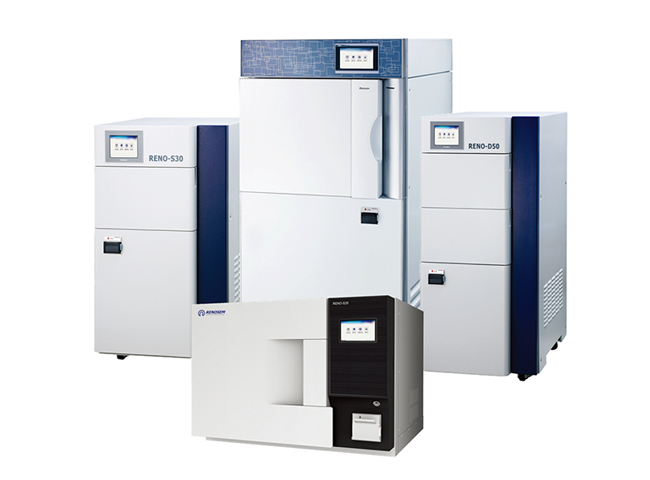 With many years of experience in developing and producing a full range of plasma sterilizers, RENOSEM has served its customers in the healthcare, pharmaceutical and laboratory sectors. It focuses on offering innovative solutions for the CSSD. 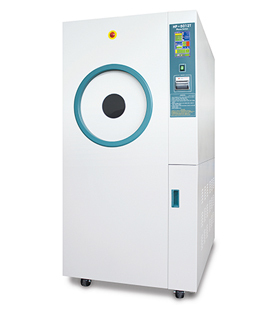 RENOSEM’s low temperature plasma sterilizer is designed with a special emphasis on user-friendly design, and competitive quality. The low temperature plasma sterilizer from the company is designed to sterilize highly sophisticated, heat-sensitive surgical instruments. In its manufacturing process such major competitive points as state-of-the-art plasma technology, user-friendly and efficient design, wide touch screen with cycle information & parameters, and spacious rectangular shape chamber are prioritized. Such impressive features ensure enhanced productivity, competitiveness and client’s optimum safety and economical satisfaction. Currently this product is mostly selected in foreign areas of Japan, Singapore, Indonesia, Australia, India, Bangladesh, Turkey, Denmark, Finland, Georgia, Greece, Russia, and Poland. [INQ. NO. 1411E07] Since its foundation in 1975, Hanshin Medical has made its utmost efforts to consistently supply medical products and related services exceeding the expectations of the markets. Long years of its sincere efforts were for convenient, accurate work of doctors, nurses, technicians and all other hospital personnel concerned. Hanshin Medical developed at an early stage a system ensuring high-quality management for the purpose of achieving such goals as steadily as possible. It also always kept in mind that it is urgent and important to be ceaselessly equipped with medical technologies leading the market. As a result of such efforts, Hanshin’s products have been favorably approved among end-users for their high excellence in functions. The certifications it won include CE Marking certificate in accordance with Medical Device Directive (93/42EEC) and Quality System Standards (EN ISO 9001 / EN ISO 13485) from reputable SGS and TUV Nord. Among the current core items ready for potential overseas buyers are: Steam Sterilizer; Low Temperature Plasma Sterilizer; Ethylene Oxide Gas Sterilizer; and Dry-Heat Sterilizer. There are also such eyecatching items as Refrigerator-Biological and Freezer-Blood Plasma, High Performance Centrifuge, Ultraviolet Rays Sterilizer, Doppler Fetus Pulse Detector, Cast Cutter, and Cutting & Sealing Machine. Ever since 2007, RENOSEM has provided its state-of-the-art product, “Low temperature plasma sterilizer” as a local market leader utilizing specialized sterilization process technology. With many years of experience in developing and producing a full range of plasma sterilizers, this company has served its customers in the healthcare, pharmaceutical and laboratory sectors. It focuses on offering innovative solutions for the CSSD. This company’s low temperature plasma sterilizer is designed with a special emphasis on user-friendly design, and competitive quality. This plasma sterilizer is designed to sterilize highly sophisticated, heatsensitive surgical instruments. In its manufacturing process, such major competitive points as state-of-the-art plasma technology, user-friendly and efficient design, wide touch screen with cycle information & parameters, and spacious rectangular shape chamber are prioritized. Such impressive features ensure enhanced productivity, competitiveness and client’s optimum safety and economicality satisfaction. Currently this product is mostly selected in foreign areas of Japan, Singapore, Indonesia, Australia, India, Bangladesh, Turkey, Denmark, Finland, Georgia, Greece, Russia, and Poland.